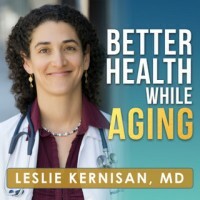 Thank you Dr. Kernisan. My sister and I are Adult Children of our Widowed Mother. She is 78, and lives alone, and is having memory and reasoning problems. Shes has had Hallucinations in the past. She still has some. But, seems to be better since she has had an eye touch-up procedure on her good eye. She is blind in the other eye. She also has some Cerebral Vascular small vessel narrowing. I am much in the same situation as the gentleman in this podcast. Several of my mothers doctor’s has suggested that she have Neuropsychological Testing. She will not go to any doctor, nor complete a POA, DPOA, use a medical alert, etc. It has been explained to her the reasons for our request. Not really sure what to do at this point??? Sorry to hear of your situation. It is difficult, albeit not uncommon. There is generally no easy solution. What is almost certainly not going to work is explanations. What can work better is to start by talking to her with the goal of learning more about how she sees the situation, what are her main concerns, and what are her goals. Validate everything you can and try to create a positive vibe. Then, use what you’ve learned about what’s important and frame your suggestions as ways to help her achieve HER goals. So for instance, perhaps she doesn’t want to go to the doctor but if she said she wants to remain independent and live at home, is there a way to frame the doctor’s visit as something that will help her with that goal? Thank you so much Dr. Kernisan for your knowledge and support.